NimbleBit has a clear formula with their bitizen-featuring simulation games, one that repeats with the third such title, Pocket Trains. They’re games that are fueled not so much by challenge, but by keeping the player interested in propelling the machine forward and not punishing them for playing the game – like so many other free-to-play simulations are wont to do. 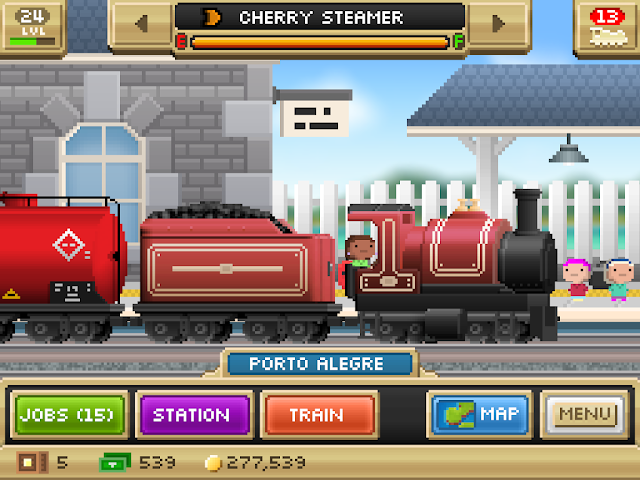 It’s why I find myself falling into the same pit with Pocket Trains where I check it regularly for weeks on end, the same as I did with Tiny Tower and Pocket Planes. This feels almost like a remix of Pocket Planes that’s been simplified a lot. 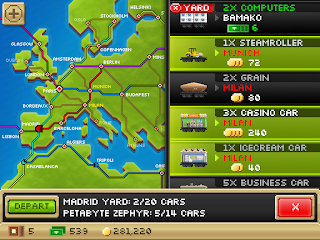 Where that game had some complexity due to the free-form nature of air travel,Pocket Trains is forced to be simpler because of the fixed nature of rail lines. Only one train can own a segment between two cities, though of course multiple train lines can travel through cities on intersecting lines. 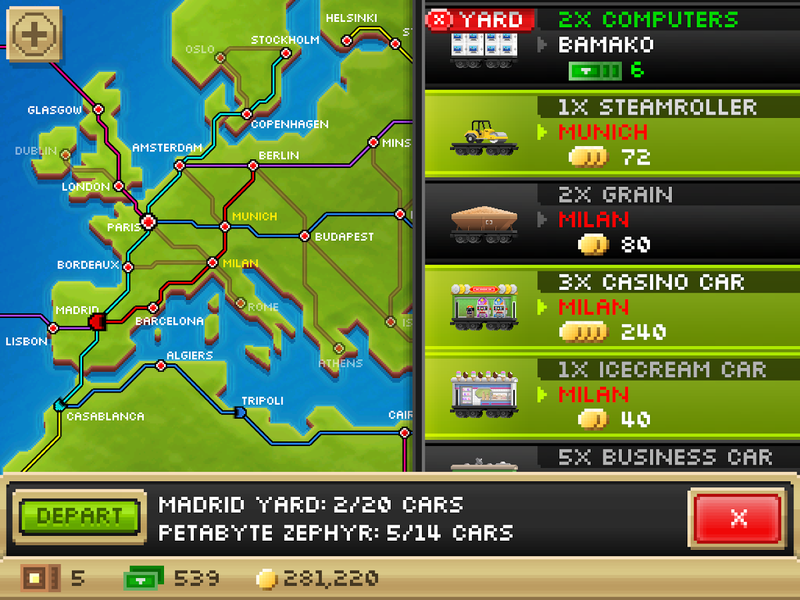 The paths are thus largely pre-defined and there’s now no monetary cost for traveling to a city, only a fuel gauge that refills when a train is idling or when the player pays a couple bux to refill it.